The Soviet Western Group of Forces was essentially the Group of Soviet Forces in Germany positioned across the German Democratic Republic. Following the cease of hostilities in the Second World War, the Soviet military positioned a large number of men and materiel inside eastern Germany. When the threat of war with western European countries aligned with NATO became a possibility the Soviets reinforced their existing military strength in the territory of East Germany. The existing number of Soviet forces would be further enhanced by the addition of military forces of the German Democratic Republic and other Warsaw Pact armed forces depending on the theater of operations. 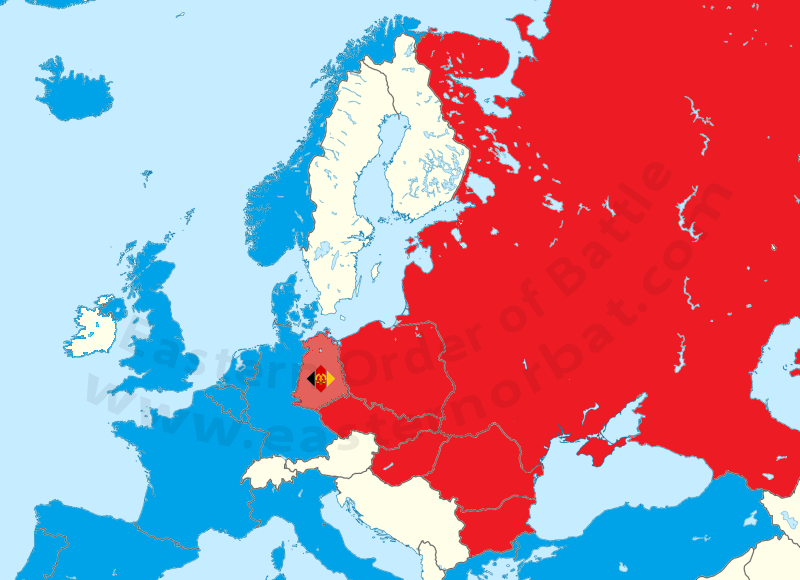 Soviet Western Group of Forces would move to penetrate into West Germany across the Inner German Border and attack across the North German Plain and through the Fulda Gap where they would engage the maneuver forces of NATO's Northern Army Group and Central Army Group. The District became subordinate to the Western Strategic Direction in the late early 80s.